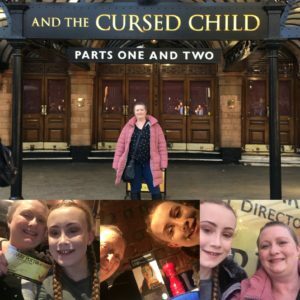 Annette and her daughter Amy went to see the play Harry Potter and Cursed Child at the Palace Theatre, London recently. Being a two part play they were fortunate enough to see both parts in one day, followed by dinner at Pizza Express. Annette said the shows were amazing!